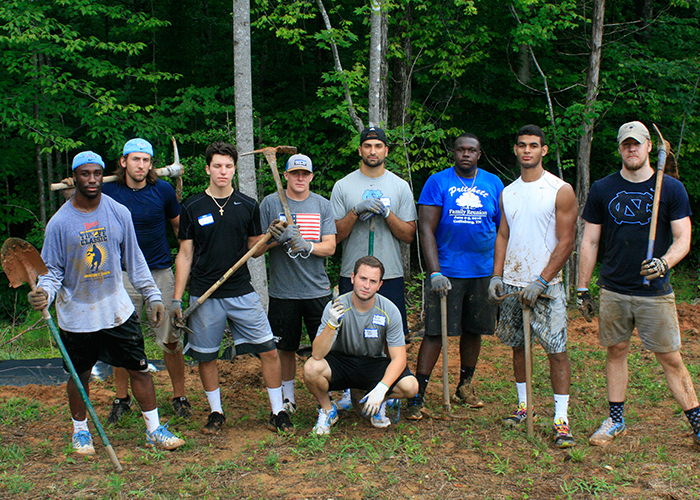 Over 100 UNC student athletes—including the entire football team—came out to build at Tinnin Woods last Saturday. This was by far the largest volunteer day that Orange Habitat has ever had (so big—we had to take a panorama to include all of the volunteers). 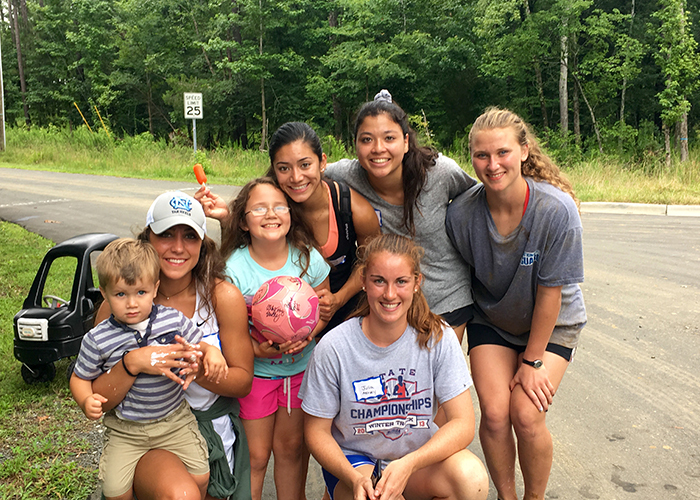 In addition to the football team, members of 11 other sports teams including basketball, soccer, gymnastics, and swimming, were in attendance. Staff members tried not to fangirl too hard (with mixed success). 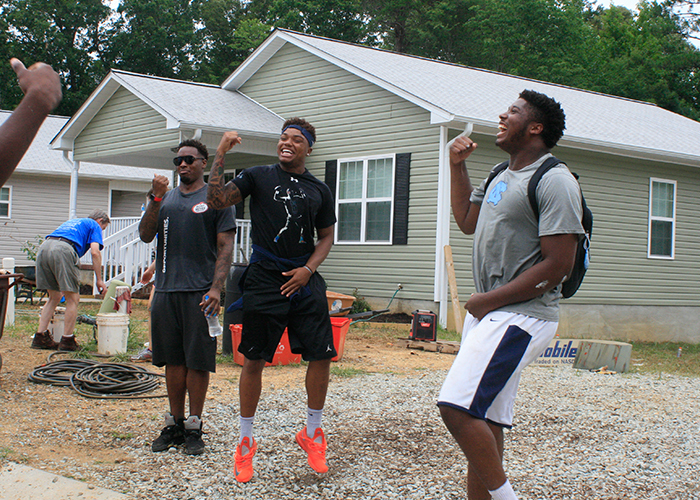 The energy was running high as students landscaped, painted, and started impromptu dance parties. 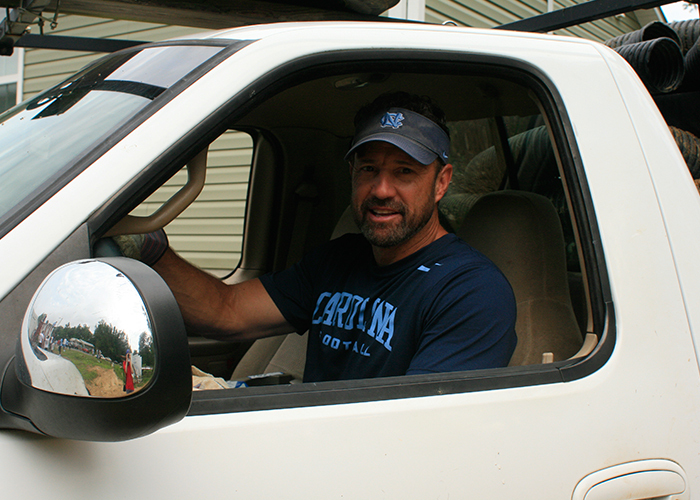 Coach Fedora got his hands dirty with his team, including driving the Habitat truck. 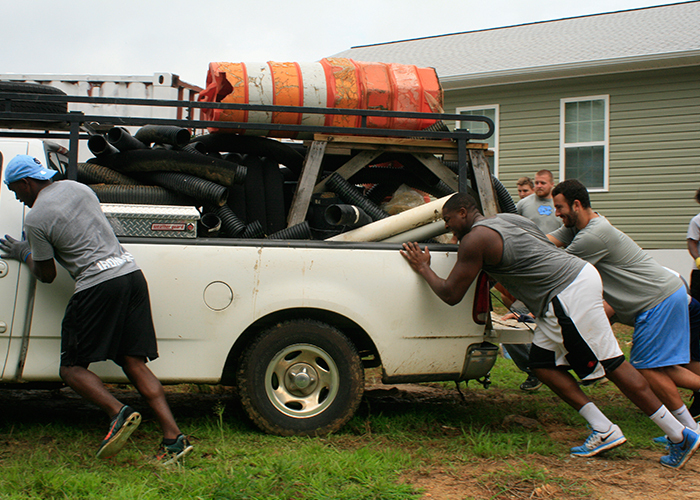 When the truck got stuck in the mud, the team knew how to work together to get it out. 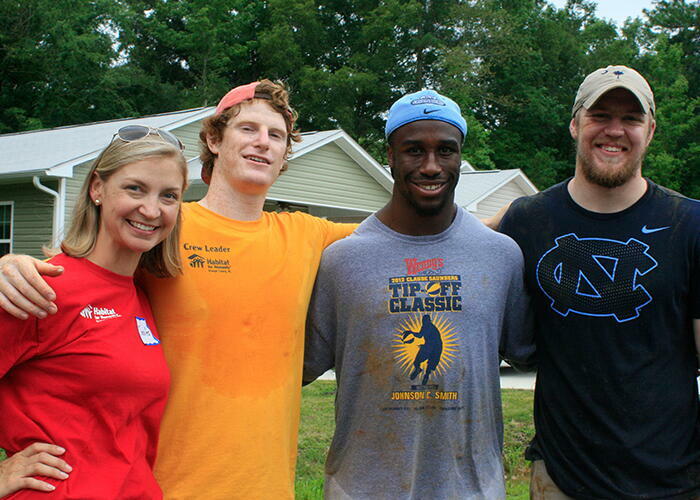 Students got to connect with Habitat homeowners, including some lucky kids who got autographs! 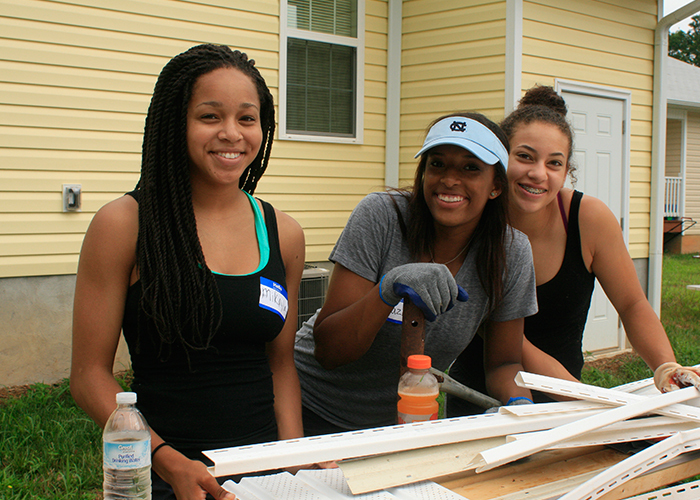 View all of the photos from the day here.